Back in 2015, I picked up a 1990 Honda CR250R to restore. The 1990 CRs were some of my favorite Honda models and over the years I have owned a CR125R, CR250R, and CR500R from that season. 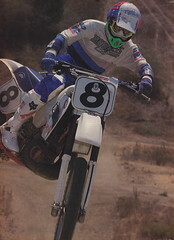 This particular one came from my buddy Nick McCabe at Racer X and it was in pretty good shape for its age.